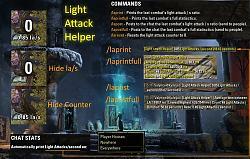 Light Attack Helper is a tool that helps you track your light attacks, it does this by incrementing a counter each time you actually hit a light attack. 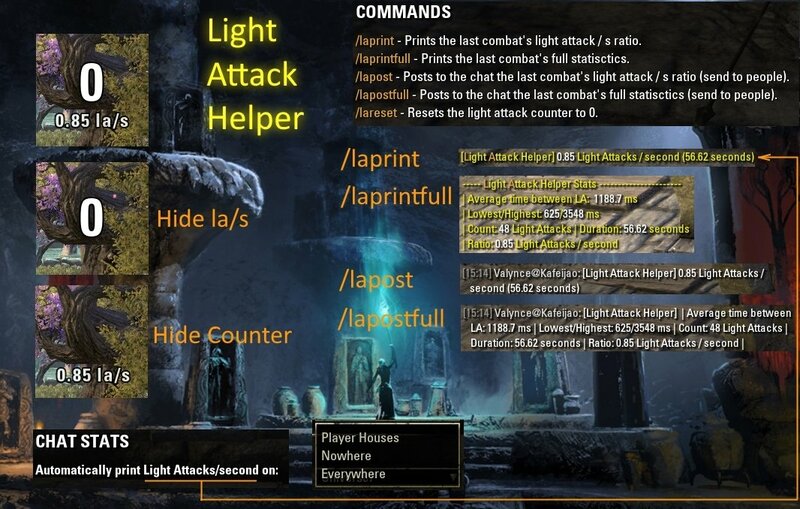 When you start to do light attack weaving normally you either do it too fast or too slow, the ideal is doing as fast as possible but still having the light attacks to register, this is where this addon comes in handy, to help you finding the sweet spot. Since these days the light attacks are the most damaging ability, one of the best ways to improve dps is actually to perform better your light attack weaving. 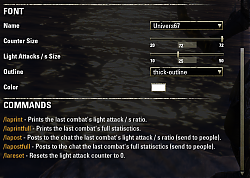 Light attack weaving is always using a light attack in between your skill abilities, this paired with animation canceling of the light attacks makes your damage spike, you can check on youtube for videos about Elder Scrolls Online animation canceling for further information. The la/s is the light attacks per second from a fight. So if you want to push yourself try to increase this number as much as possible in your fights. I am tracking the light attacking information from the server, so the times will be influenced by your latency(ping), and the latency(ping) is not very constant so you might find a bit of floating values. You can use /laprintfull to see the statistics from the parse, for example the max and min values to see if your parse was falwless, for example if you get a minimum lower than 800ms probably it means that you did 2 light attacks without a skill in between, and if the maximum is higher than 1800 probably means that you used two skills without a light attack in between (This of course depends on the skills used, as channeled skills will have a much longer light attack time in between). /laprint - Prints the last combat's light attack / s ratio. 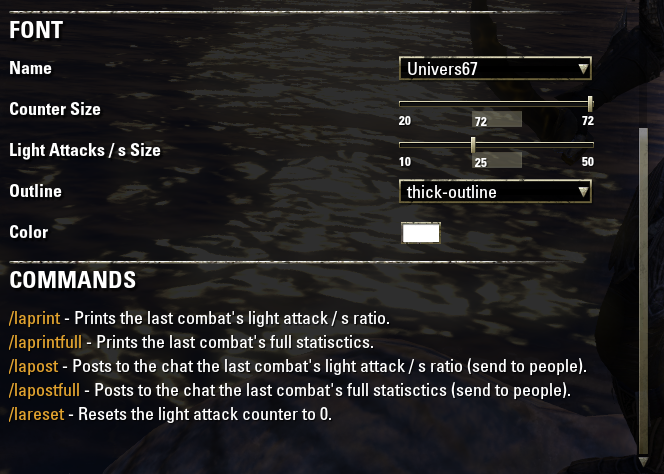 /laprintfull - Prints the last combat's full statisctics. /lapost - Posts to the chat the last combat's light attack / s ratio (send to people). /lareset - Resets the light attack counter to 0. 1. 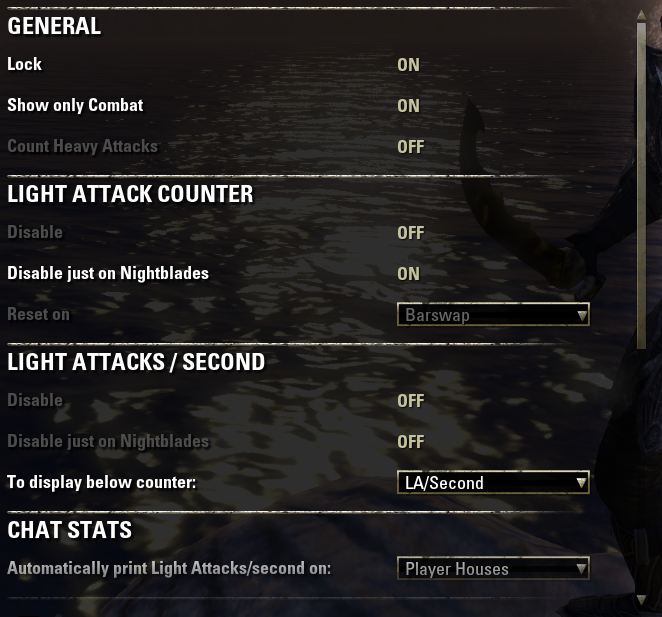 The counter for ranged attacks will increment as soon as you shoot the light attack (if it knows it will hit) instead of when it actually hits, if it was on actual hit it would count the light attack after you barswap (if you do bar swap animation cancel) which feels a bit weird if you have the option to reset on barswap. Warning: If it doesn't work on Japanese client, send a comment. I have no access to the Japanese client as it is geolocked to Japan only, so I can't test nor get the data I need to fix it. + Code cleanup and api Bump. + Fixed one issue where light attacks were not being detected on ranged attacks. + Fixed one issue that happened when grouped. Added the display light attacks per second. Changed the settings menu for better hide/show components. Added the command /laprint /laprintfull /lapost /lapostfull to display statistics from the last fight. Added event filters to improve performance. Added the display of the milliseconds between each light attack. Added the option to hide and set the size for the milliseconds part on the settings. Added the command /laprint to display statistics from the last fight. Added font options on settings (Font, size, border, and color). I am trying to improve my LA weaving. First of all, how many la/s am I supposed to cast, to be sure LA + Blockade of Storms (repeated forever) actually register the LA? Second: LA helper shows me I have casted 29 LAs but Combat Metrics show 42 Blockade of Storms (why so many!) and only 17 LAs. Isn't here a way to show that my LAs are being "eaten"? My problem is that I don't know how many LAs/s am I meant to cast to begin with. This is kinda of a rule of the thumb, and only works without channeled abilities, because I'm pretty sure you can't weave any skill with a light attack in less than 800ms. And if more than 1600 you either are reeeeeaaally slow on the weaves or you missed it and did 2 skills without a light attack in between. 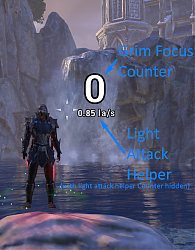 First: My advice to see if the light attack is counting or not, it enabling the counter and look if for each time you do the skill the counter increment one time. Or you can check it after the fight with the trick above. Second: Combat metrics is probably tracking each ticks (actual damage) of the blockade, and because it is a dot it will hit multiple times for each cast. If you are not using channeled abilities I would say 0.85LA/s is already decent, but this value depends on the skills you are using. Some are faster than the others allowing faster weaving. NOTE: The LA/s starts when combat starts and ends when combat ends. This means if you want a real LA/s you need to kill the target, if you stop without killing the combat timer will still be running until you get out of combat and will hurt severely the LA/s output. I have a couple of suggestions for additional features. toggle option to print fight statistics using AddMessage after a fight, rather than /laprint posting to user input (no one is going to send this data to other people ala dps parses, so this isn't an optimal way to provide this feedback to the user). You could add /lapost to do what /laprint currently is, to "post" the info to be sent to others, but print should output to the user i.e. CHAT_SYSTEM:AddMessage to default system channel. 1. I wanted to do this in the first place, a better weave helper, but as far as I am aware it is not possible without handling every single skill manually (because there is no combat event saying: this skill has been cast in a general way I can identify any skill that was actually cast). If you have a solution for this in mind do share please. 2. Same problem as above. Last edited by eventHandler : 08/27/18 at 02:59 AM. 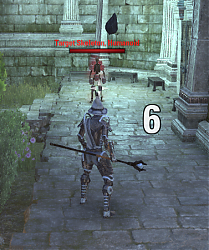 wishlist: option to stay visible for a few seconds outside combat. 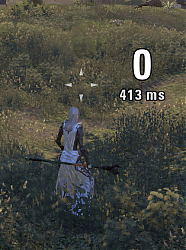 I'd like to be able to check after I kill my target how I performed, but I don't want the display on full time when just running around gathering or whatever. It will gives some statistics that can help you a lot, there is a bit more info on the description how you can read them. Is there a way to warn you if you do medium attacks? e.g. for stam DK where you shoud do heavy but sometimes do medium instead? I guess he wants to know when to block nighblades spectral bow. I just tested and yes I could differentiate heavy from medium attacks (the damage and the ability icon are different), but the thing is even between heavies there can be a longer heavy (more dmg) or a fast heavy (less dmg). So just saying it was a heavy attack doesn't actually mean it was a full heavy attack. As for the heavy attacks, you can animation cancel heavy attacks perfectly all the time, so adding another tracker for it seems a bit too much for that. If you want you can look at this video, it's kinda old but this is how you perfectly heavy attack, it's way way easier comparing to lights attacks and you get it perfectly all the times. Basically just hold the left mouse button, and as soon you start to see the heavy attack starting press the skill you want to use 1 time and it will shoot the skill immediately after the heavy attack, because it got queued. If you want to weave multiple heavy attacks in a row, just keep the left mouse button pressed and all the time you see the heavy attack start hit the skill u want to use. 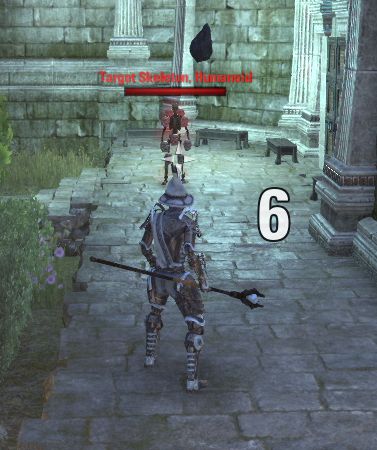 Hello, I've been looking for an addon that will track the number of times an enemy light attacks me. I am wondering if it would be hard to add that feature to this addon? Thanks in advance. When you say enemy you mean enemy player specifically or enemy (monster, players, everything)? And why would you want something like this O_o ? This kinda goes away from the scope of this addon, but if there is a really good reason might be willing to take a look at it for a new addon. Well as a PvP player, I'm mainly talking about enemy players. I should have specified. Well, the reasons I'm thinking of are fairly niche. So I'm absolutely sure it wouldn't apply to a general playerbase. I've been looking for an addon that could do this, and thought I'd ask. When you say enemy you mean enemy player specifically or enemy (monster, players, everything)? And why would you want something like this O_o ? This kinda goes away from the scope of this addon, but if there is a really good reason might be willing to take a look at it for a new addon. Last edited by Calfedon22 : 07/09/18 at 11:09 AM. In many combat situations, I use two or three light attacks before I use an ability, then might use another ability (for example, use a potion or heal my character) before making another light attack. Simply counting the light attacks, with or without heavy attacks, is only half of the information that I need to determine whether I'm using "weaving" at all, let alone effectively. What I need to know is the number of times that I have used an ability and the number of times that a light or heavy attack with a weapon was the next attack. Those can be recorded and reported as two separate numbers. When the player uses an ability, the ability count is incremented and, if the next action is a light or heavy attack, then the weapon count is also incremented. Note also that, when the player uses an ability, the ability count is incremented. But if the next action is not a light or heavy attack, then the ability count is decremented (i.e., to cancel the increment since the next action was not a light or heavy attack). Comparing the ability count to the weapon count discloses the number of times that the player used "weaving' (i.e., when the light or heavy attack hit the target). The respective numbers will probably never be equal. But the higher the value of the ratio of abilities to weapon attacks. the better. Also, the higher the number of abilities followed by weapon attacks, the better. Then again, if animation cancelling is necessary to "weave" light attacks between abilities, then perhaps there's nothing gained by using Light Attack Helper without it. 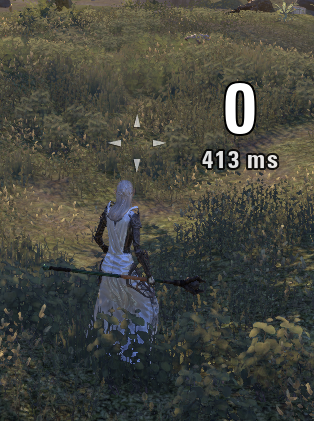 In my experience, animation cancelling -- especially bar-swapping -- is a waste of time and effort unless the Network Latency is less than 100 ms. during combat. That has never been the case with my Internet connection, never mind the efficiency of the Bethesda "megaserver". Even if it were, then bar-swapping for that purpose implies a different approach to selecting the weapons and abilities for the respective bars. That's what I wanted to do on the first place, believe me I tried a lot of ways, but I have no way to get the server to tell me that I used a skill and it went actually through (without programming individually all the existing skills). The only think I could do was getting if I pressed a key for an ability, but nothing tells me that it actually went through, I might take another look to see if I can find another way. If I had access to this I could do a much better addon that focus on fully helping with weaving. This addon is meant to be used to fine tune the weaving, you can easily see the abilities animation, so all you need to do is to see if there is only 1 counter increment each ability animation. Normally I struggle with weaving so fast that the light attack doesn't count, and I think that's the best way to weave, start really fast and decremently decrease the speed until you see that your light attacks start counting. Once you get used with the perfect pace you are good to go, if you are using two or three light attacks before an ability you are weaving waaaay to slow. 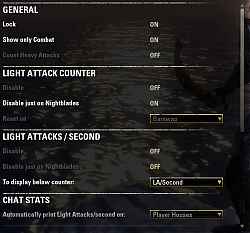 The way I do light attack weave is rage click left mouse button to light attack, and then when I "feel" the light attack went through I press the ability one time. This feel you have to gain with practice, but if you were able to see you are doing 2/3 light attacks between abilities I guess it helped you seeing you are doing it wrong. Last edited by kafeijao : 07/07/18 at 02:35 AM. Last edited by Shadowshire : 07/06/18 at 10:57 PM.